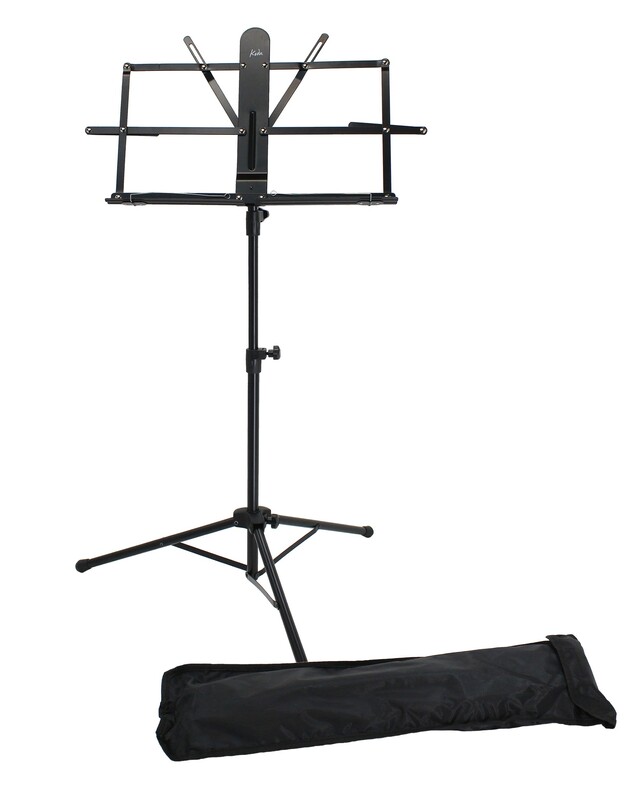 Koda Small Sheet Music Stand with 3-piece folding sections. This is a good quality and sturdy stand that displays sheet music conveniently. The music stand is equipped with page holders to help the player as well as being height adjustable to suit players of all heights. The tripod base offers stability for the musician and the stand neatly folds away and into the included carry bag for transporting.